We our school ... and you will too! A joyful school with a curriculum that provides a lasting foundation in what is good, true and beautiful. 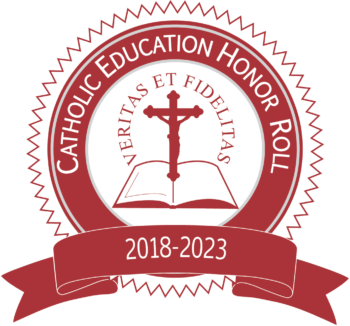 Dedicated teachers and staff who support the intellectual, moral and spiritual development of each student: Preschool (age 3) through Sixth Grade. Enrichment in Gym, Music, Latin, Spanish, Natural Science, Art, Tin Whistle, Library, Band and Computer Science. Unique Education in Virtue Program that inspires students to live well, and in all things, to seek what is good. Beautiful 14-acre campus along the rolling Merrimack River in the farming community of Litchfield, New Hampshire. Competitive tuition rates, sponsorships, sibling discounts, generous financial aid. ... and the BEST CHILDREN IN NEW HAMPSHIRE!